When it comes to sippy cups, I am a snob. There is nothing worse than a sippy cup that leaks!! Nuby is by far one of the best brands out there when it comes to sippy cups! My daughter is almost 2 and a half and up until about a month ago was obsessed with her bottle still. When my son transitioned off of the bottle at about a year old, the Nuby Step 2 No-Spill Cup was what I chose to help him make the switch. 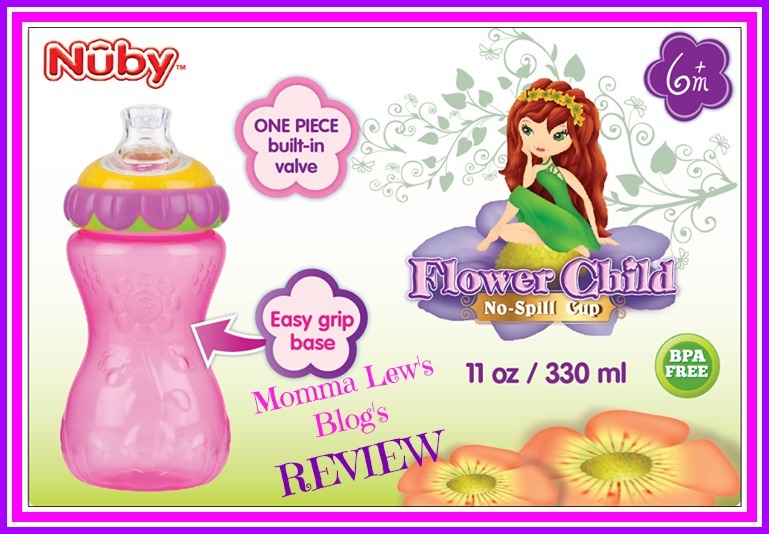 As a Nuby Mommy Blogger, I had the chance to have Julia review the Flower Child No-Spill Cup. When your child starts to learn how to feed themselves, having the right cups and utensils make all of the difference. I love the new design. Nuby products are the best! My daughter has this cup too. It’s super cute and doesn’t leak! I hate those leaking cups too. Have to give this product a try! Thanks for sharing! I love Nuby products. They are some of the best! Nuby is a great brand, they have wonderful products! LOL…I’m a sippy cup snob too! I love Nuby products…they really work! It reminds me of my kids when they were still little. We bought them a sippy cup like this but different brand though.